The Chatt City Suites extended stay motel on Thursday, Jan. 3, 2019, in Chattanooga, Tenn. In a memo dated Dec. 27, residents were told that they must vacate their rooms by January 15 to accommodate renovations to the motel. The 2018 Chattanooga Times Free Press Neediest Cases campaign ended on New Year's Day, but the one-time solution the fund provides to families is playing out as social service agencies respond to the eviction of residents from the Chatt City Suites on 20th Street. 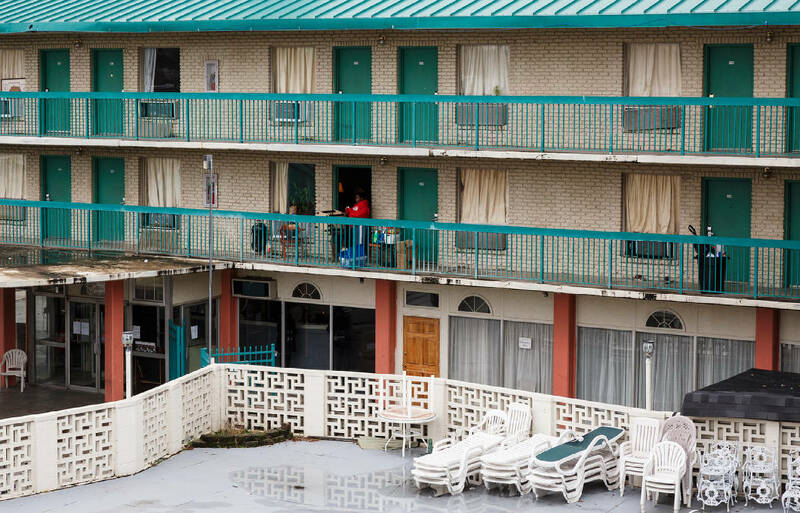 At least six families from the extended-stay motel have been referred to the Neediest Cases Fund in the last two days, officials for the United Way of Chattanooga said Friday. Julia Wilhelm, a member of United Way's marketing department, said the agency was working with Family Promise of Greater Chattanooga. The United Way administers the Neediest Cases Fund for the Times Free Press. "What has happened in the past few days shows how critical the fund really is," Wilhelm said. "It is interesting that the money given in just the past two months is already being put to good use. We say how critical this money is, and here's the proof." Evicted families looking for new shelter will look to the Neediest Cases fund for a one-time expense related to their first month's rent, help with a security deposit or setting up new utilities. More than 60 percent of requests met by the Neediest Cases Fund in 2018 related to housing. The 2018 Neediest Cases campaign raised $41,963.70 between Nov. 21 and the end of December, surpassing the $39,124 raised in 2017. Nine different social services agencies were involved in stories featuring recipients, including a deaf man from North Georgia who repaired his truck, a young mother seeking to unite her family after doing time in prison and an Army veteran who needed supplies so volunteer local electricians could wire his trailer. "The contributors to the Neediest Cases literally made a difference for people who live here and are facing difficult situations here," Wilhelm said. "Like [fund founder] Adolph Ochs, you have given to help them. The data shows that the people of Chattanooga give more per capita than most other communities." Ruth Votava of Family Promise in Chattanooga said case workers at the agency were working with several families from Chatt City Suites. Family Promise and Votava were involved in multiple Neediest Cases payments in 2018 and were actively engaged with finding housing solutions for Chatt City Suites residents late Friday afternoon. Those residents have to vacate their rooms before the end of the month, as the motel's owners are planning to renovate. "I understand most of those families are working families," Votava said, "and our case manager is working through the issues. Not having the right identification documents is a problem because these families are constantly in flux, constantly moving, and mistakes get made when papers are thrown away."